On Wednesday 9th September 2015, Her Majesty Queen Elizabeth II became the longest reigning British monarch. This record was previously held by Queen Victoria, who reigned for 63 years and 7 months (or, to be precise, 23,226 days, 16 hours and 23 minutes) from her accession in 1837 at the age of 18 until her death in 1901. 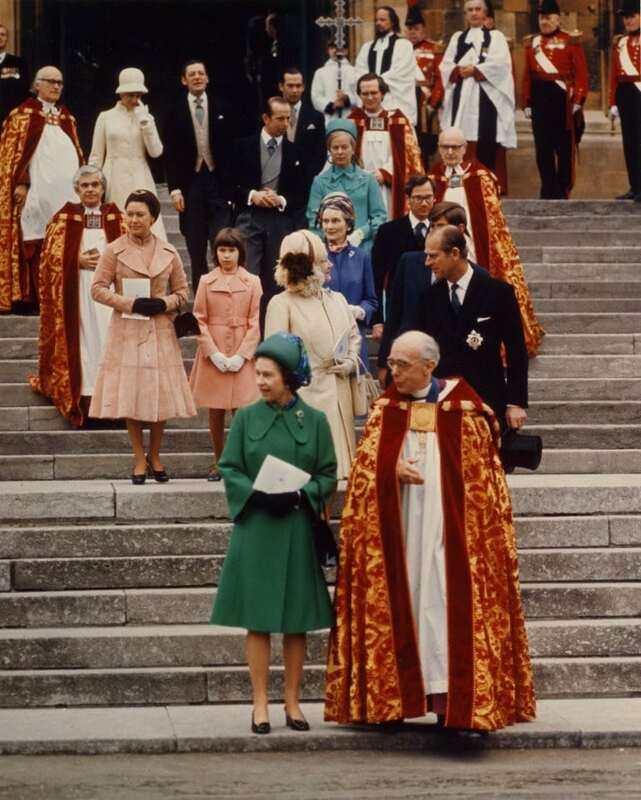 Throughout her reign, which began on 6th February 1952, Queen Elizabeth has had a close association with Windsor – both the Castle and St George’s Chapel – and even prior to becoming queen, she and her sister visited Windsor often as young princesses. 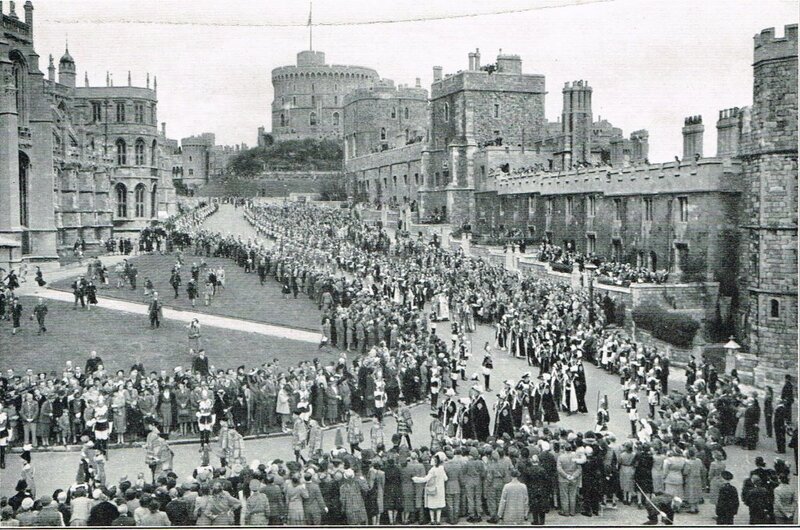 Princess Elizabeth and Prince Philip process through the Lower Ward of Windsor Castle with the other Companions of the Order of the Garter in 1948, the year of their installation to the Order and of the Order’s six hundredth anniversary. 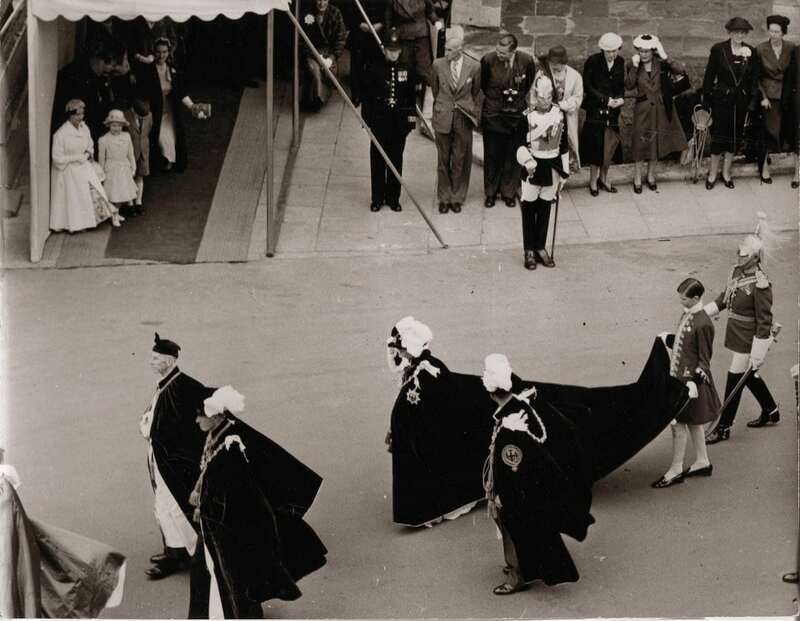 At a Garter Day ceremony in the late 1950s the Queen passes the Galilee Porch of St George’s Chapel where her sister, Princess Margaret, and two eldest children, Prince Charles and Princess Anne are waiting to curtsy and bow to her. 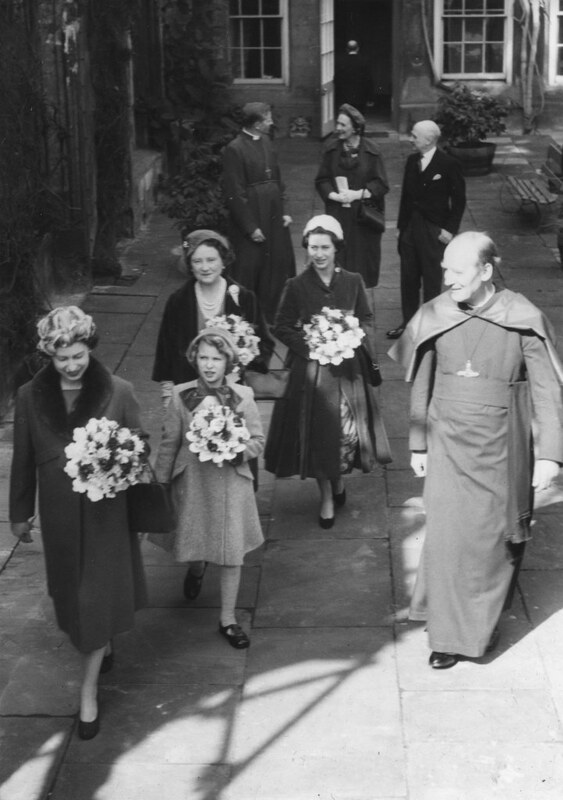 Queen Elizabeth, Princess Anne, Queen Elizabeth the Queen Mother and Princess Margaret leave the Deanery with Dean Hamilton, carrying bouquets presented to them after an Easter Day service in St George’s Chapel. 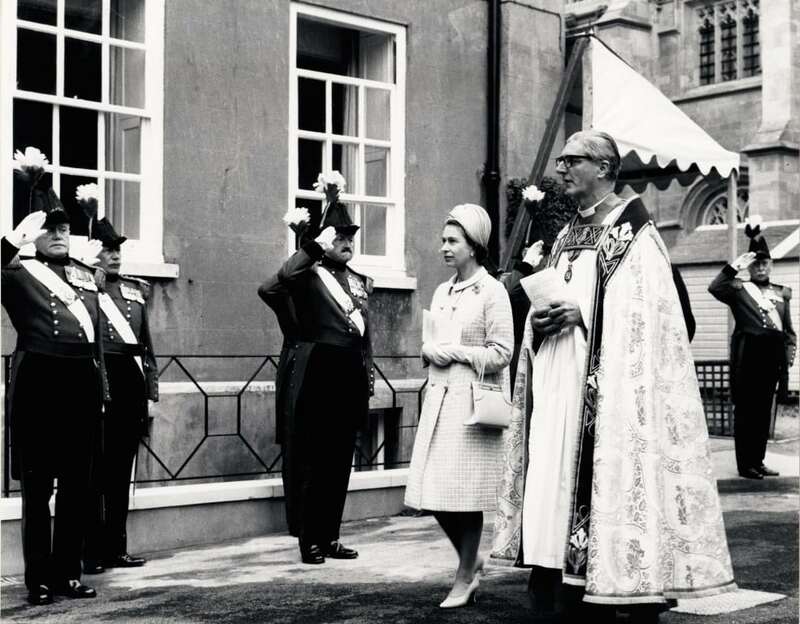 The Queen is saluted by the Military Knights of Windsor as she arrives with Dean Woods at the opening of St George’s House in 1966. Queen Elizabeth and the Duke of Edinburgh with Dean Mitchell at the fountain in the Dean’s Cloister. 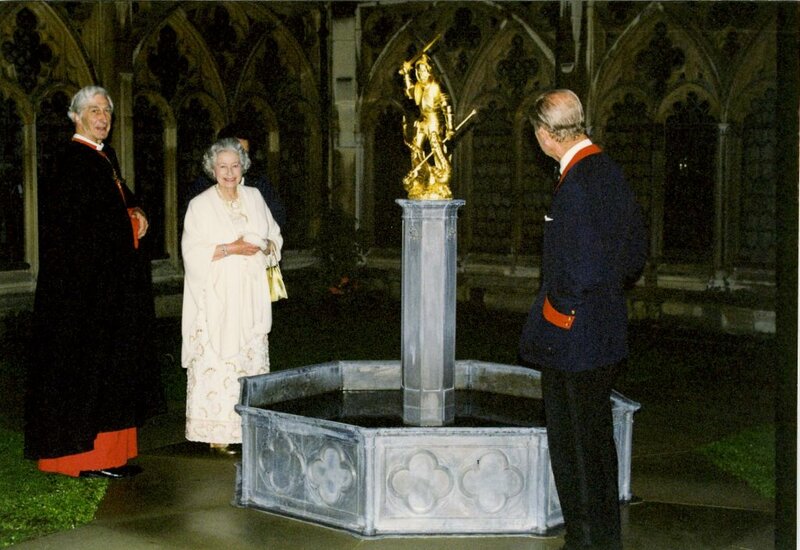 The Queen switched on the fountain, with its golden statue of St George, in 1998, marking 650 years since the foundation of the College of St George. 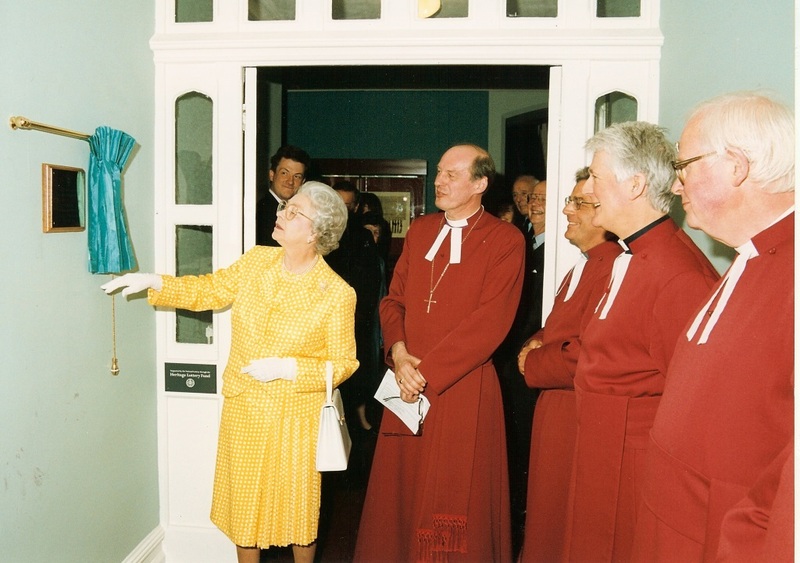 The Queen unveils a plaque at the official opening of the new building to house the Archives and Chapter Library of the College of St George in 1999. 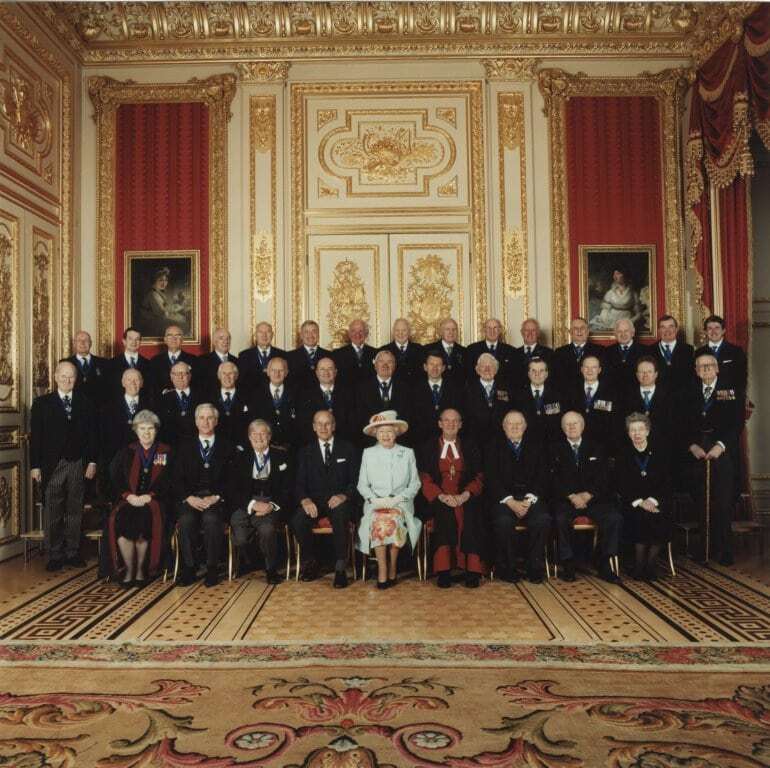 A photograph of the Lay Stewards of St George’s Chapel with Queen Elizabeth and the Duke of Edinburgh, taken in 2006 to celebrate the 40th anniversary of the stewards. Queen Elizabeth has continued the tradition which her father re-established in 1948 of celebrating the Order of the Garter every year. 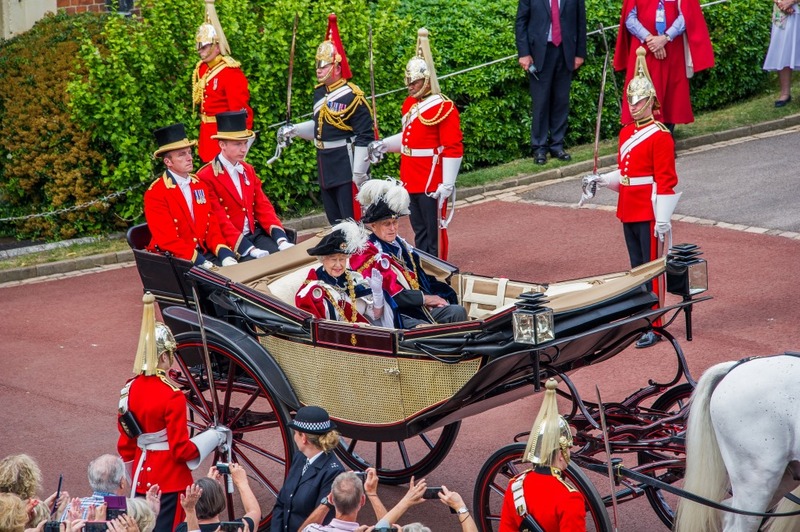 This photograph shows The Queen and the Duke of Edinburgh leaving St George’s Chapel after the Garter Day service in June 2015. An exhibition celebrating The Queen’s reign opens in the Dean’s Cloister from Thursday 10th September. Normal opening hours are Monday to Saturday 10am to 4pm; Castle admission charges apply.